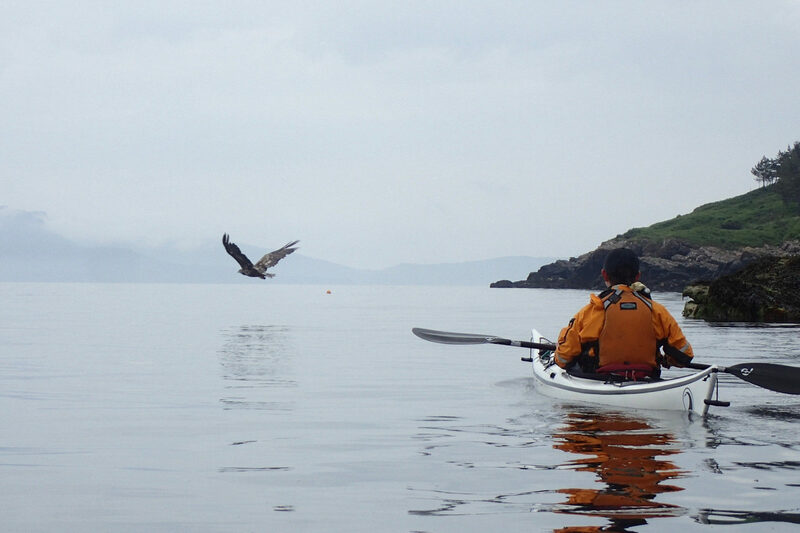 The waters around Oban, the islands of Kerrera, Seil, Luing and surrounding areas offer some of the best sea kayaking that Scotland has to offer. Seil, Easdale, Luing, Scarba, Shuna and the Garvellachs as well as numerous smaller islands all vary in geology and geography. This location offers the sea kayaker areas of tide and moving water, and with careful planning can be avoided or used to our advantage. * This trip is jointly run with Anita Daimond an experienced coach and guide from Sea Môr Kayaking, who run kayak trips based in North Wales with a focus on the wildlife and historical landscape. Given the fickle nature of the climate of the west coast of Scotland, the itinerary will be flexible and based on the weather. If the weather forecast is looking settled we will pack our kayaks and camping for a few days. If it is more challenging we will plan day paddles from our base. 1. Campsite near Oban – Oban camping and caravan site. Big commercial site. 2. Bunkhouse and camping at Cuan Ferry for up to 3 people comfortably. 30 minutes drive from Oban. Van, tent and Motorhome parking is also available at this location. Accommodation details will be firmed up nearer the time. Kayak and equipment hire is available. To book please complete this form – a 25% deposit is required to secure booking. None. I have all my own. Day 0: Meet and greet the first evening to look at maps and options for our trip. The exact itinerary will be largely determined by the weather. Day 1: We will allow plenty time to get ready and pack the boats (if that is the plan), enjoying a shorter paddle to get to our first campsite. Day 4: A paddle back to our starting point on our final day. Organise car shuttles if required.